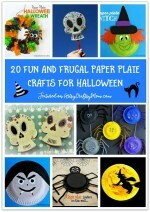 Ready to get started on some super fun Halloween Bat Crafts? October is coming soon ! I’ve been working on my Halloween ideas for a while now and I’m excited to put together the finishing touches over the weekend. October is also Bat Appreciation Month . To celebrate that we have .. The biggest entertainment is to create haunted attractions outside or inside your house. Pumpkins, ghosts and bats are the most popular halloween attractions. Bats are the creepy ones that hang down from the trees, walls and just fly around the house. 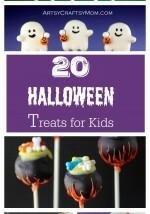 Here are some of the crafts that your kids can get involved in to create your house that perfect haunted attraction for trick or treat. Do you have old bottle caps? 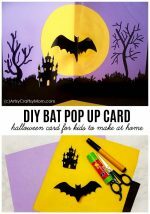 Turn them into these scary bat crafts like the ones shown in love and lollipops blog. Use the spare toilet or foil paper rolls to create these hanging bats as shown in the buggy and buddy blog. Another hanging bat craft using some foam paper cutting and a few googly eyes from Layla Palmer. Oh dear, these bat truffles at One Sweet Appetite are too cute to eat! The wings may be a little tricky for beginners, but nothing that a little practice can’t perfect! The things you can do with melted chocolate! Kids will love to cut and paste some yarn to make these cute bats craft from the chirping moms blog. 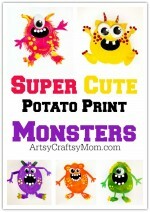 Really good for young kids to improve their fine motor skills. Halloween is when bat crafts make their presence felt, and we particularly love these hanging Origami bats from Paper Kawaii! String them together for a perfectly themed Halloween banner! Trick or treat bat boxes using this fun craft with old cardboard rolls from craft passion blog. Recycle paper plates to create these toothy black bats from crafty journal blog. This simple paper bat craft makes an easy Halloween party decoration. DIY Paper Quilled Halloween Bat craft for kids is just perfect for a fun evening and a unique way to discuss the folklore and history of Halloween. 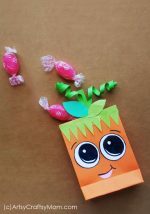 I always love fingerprint crafts for kids to make because they have so much fun getting their hands messy! Try this awesome bat silhouette art project, by CraftyMorning that is easy and toddlers/preschoolers can do it too! We thought that you would also love some Free Printables to go with our Batty Theme .. check these out too. 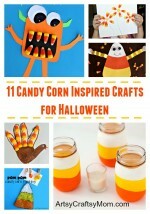 Be sure to check out all our amazing Holiday crafts. Guaranteed year round fun!